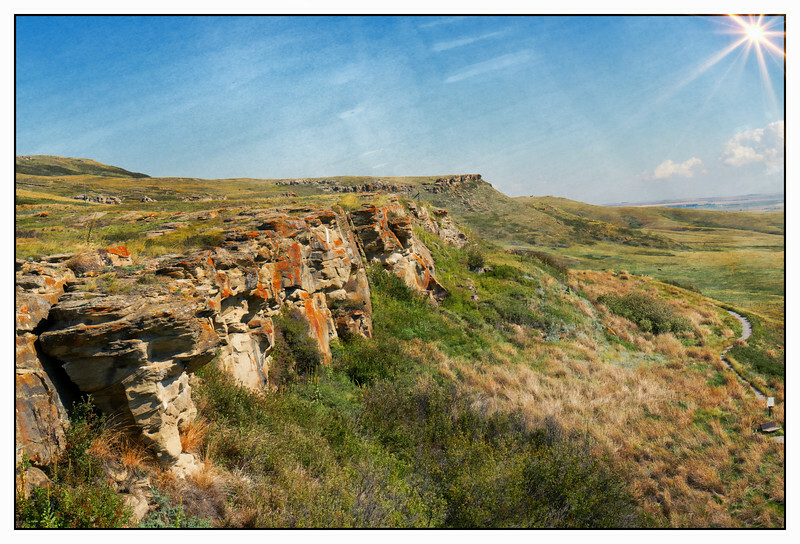 "Bad Place to be a Buffalo"
First stop out of Calgary is a stop at Head-Smashed-In Buffalo Jump. This is the site where the First Nation (native Indians) people would orchestrate a process where they would get the buffalos to stampede over these rocks. This was done when there were many people involved to clean and process the meat and feed their tribe for the winter. The day we were there the wind was blowing so hard we could not do our narrated tour of the site outside, we went inside to hear the story.